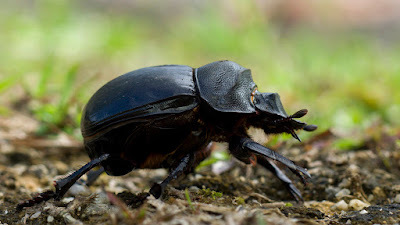 Dung Beetle are beetles that feed partly or exclusively on dung . A dung beetle can bury dung 250 times heavier than itself in one single night. Dung beetles play a remarkable role in agriculture. By burying and consuming dung, they improve nutrient recycling and soil structure .